Made of chestnut wood, resin, glass. Size, mm: 185 (height) х 120 (bowl diameter). An elegant candy bowl of chestnut wood with jewelry resin insertions. The 12 cm bowl is made of glass. 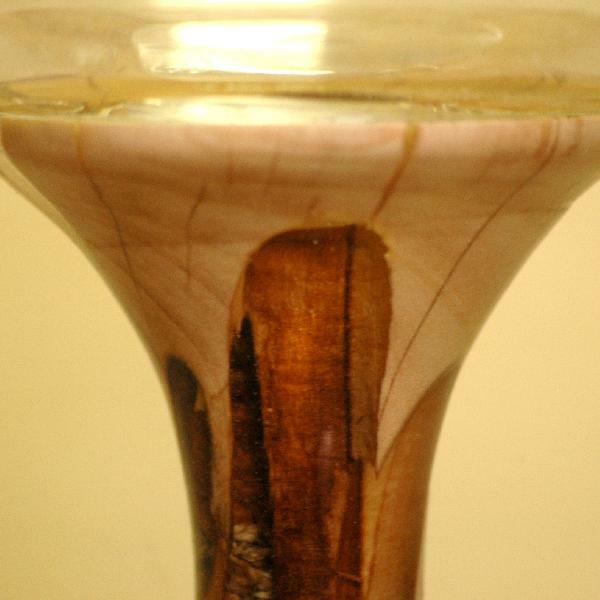 The natural cracks in the wood are filled with jewelry resin to increase the durability and accentuate the craftsmanship.